As I arrived in Porto on a mild spring afternoon, I was immediately taken by the convivial atmosphere all around me. Families strolling through the park, groups of friends enjoying a glass of wine at a pavement café, sightseers making their way along the impressive riverside. 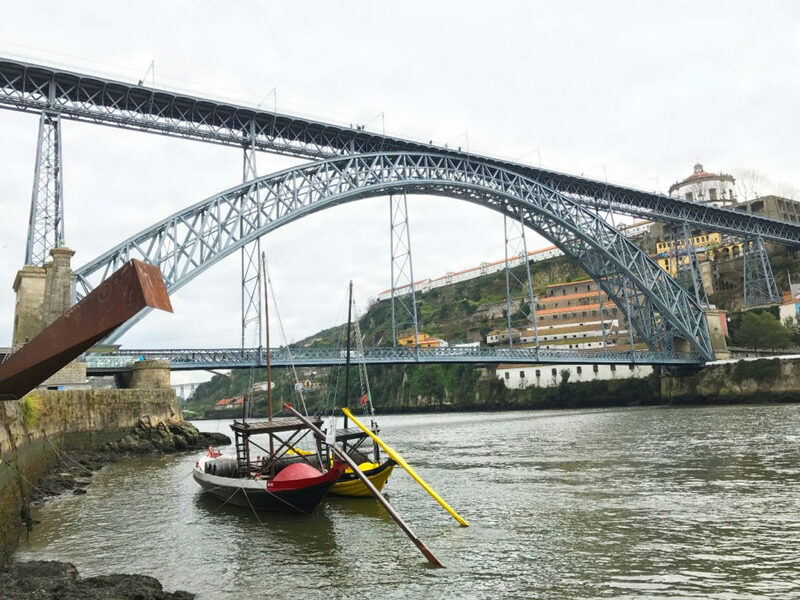 One of the main focal points of the city is the impressive Dom Luis bridge. An al fresco coffee in one of the many cafes in the bridge’s shadow was a wonderful chance to admire the incredible structure that joins the two halves of the city. As I left the city, I headed east along the Douro river. The views as I drove were utterly glorious, as rows of lush vineyards tumble down into the river. Despite a rather overcast sky, the valley seemed to soak up the light and reflected a thousand shades of green. The other striking thing was the near silence. Gone was the constant hum of traffic and in its place: serenity. In the distance I could make out some chickens clucking and a farmer working his way through his fields. 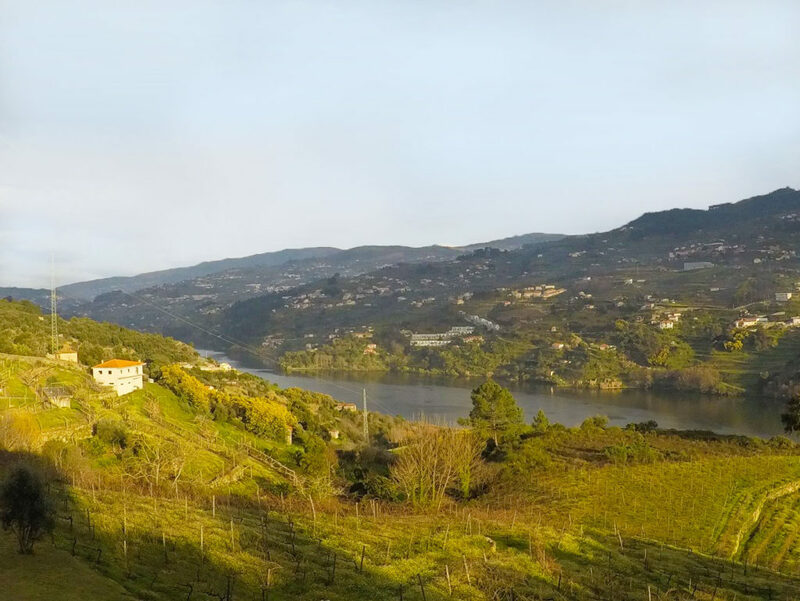 Of course, the reason many of us will have heard of the Douro Valley is because of its excellent wines. Still regarded as one of the wine community’s best kept secrets, Douro wines are acclaimed by those in the know. But with limited export of them, they are not as well known outside of Portugal. I sampled a stunning glass of vinho verde (literally ‘green wine’) which was so good I purchased two bottles on the spot to take home for friends. 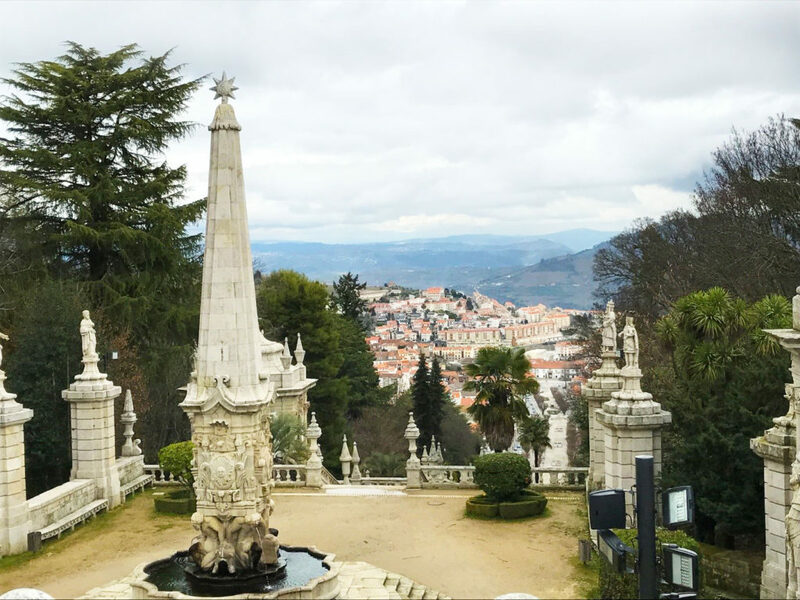 The next day I headed south from the river to the charming town of Lamego. The town is famous for its sanctuary to Our Lady of the Remedies, stood high on a hillside overlooking the town. It is notable for its wonderful zigzagging staircases leading up the hillside decorated with intricate friezes. 613 steps (yes, I counted) lead to the sanctuary itself where you can marvel at the views as your reward. 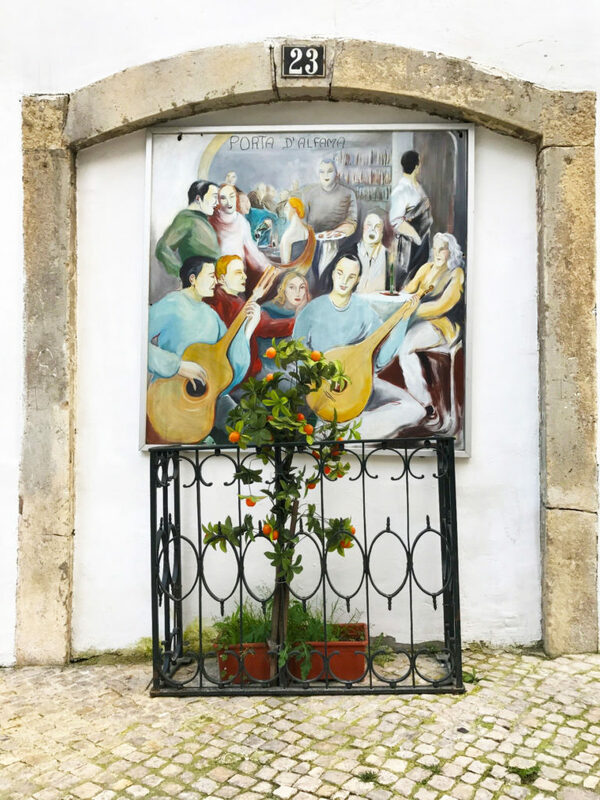 My ultimate destination was Lisbon, but along the way were many little treats as I called in at towns and villages that are not necessarily on the tourism trail. The lively beach town of Nazare, with waves regularly reaching over 20 feet high had me (and others along the promenade) gasping in awe at the majestic power of the sea. Further inland, the university town of Coimbra – at first glance, unremarkable – was a real treat with its riverside medieval old town rising up into the hills. Another pleasant surprise was the town of Aveiro. A fascinating history of boom and bust has left its mark on this pretty town. Canals criss-cross the streets as gondola-like fishing boats, once used to gather seaweed, float serenely past brightly coloured fishing cottages. And finally, onto Lisbon. A city that has changed much since my last visit a decade ago. The impressive Monument to the Discoveries, Belem Tower and Monastery of Jeronimos of course are still as captivating as ever. But around the rest of the city, there is a real sense of warmth and positivity. New buildings complement the skyline, improved transport move people around with ease and the food on offer just gets better. Speaking with many local Lisboetas, it doesn’t take long before the conversation turns to food. There is a real passion for the subject that I was completely taken with. Salt cod, sardines, sea bream and more fish, too numerous to mention, are regularly served up in the capital’s many eateries. From high-end dining to the most basic café – the premise is always the same: get the freshest fish and let its wonderful flavour speak for itself. Aside from the food, Lisbon boasts some fantastic sights and indeed sounds. As I walked home through the Alfama district, the distinctive sounds of Fado (a Portuguese performance, not dissimilar to flamenco) crept out of cosy looking bars. A lovely final memory of this fantastic city and, indeed, diverse country. I live to travel and have visited over 50 countries. 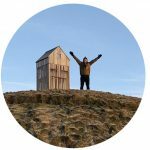 I love to see the world’s most iconic sights in person, as well as seeking out some quirky finds. I love to share my tips, whether it be about packing, airports or sightseeing!